Custody laws vary from state-to-state, so we strongly advise you find not only a lawyer in your state, but an experienced one in your county and city from which you case resides. Arizona law might state any misdemeanor committed while wearing a red mask is considered a felony. Or there is a possible 25 years in prison for cutting down a cactus. An attorney who knows the law, will be able to determine fact from fiction. Not to mention represent you well in a more serious matter, such as access to your kids. Having a lawyer who knows the law, will aid in determining fact from fiction and more importantly, represent you in a more serious matter, access of your children. 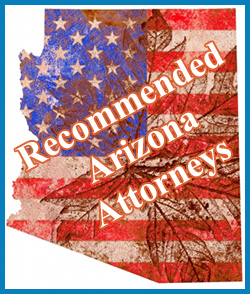 If you happen to be an attorney or know good Arizona father lawyers, encourage them to be listed. click here to learn more.